A trip to a supermarket earlier in the year led to a purchase of tomato plugs- and boy have they not disappointed me! 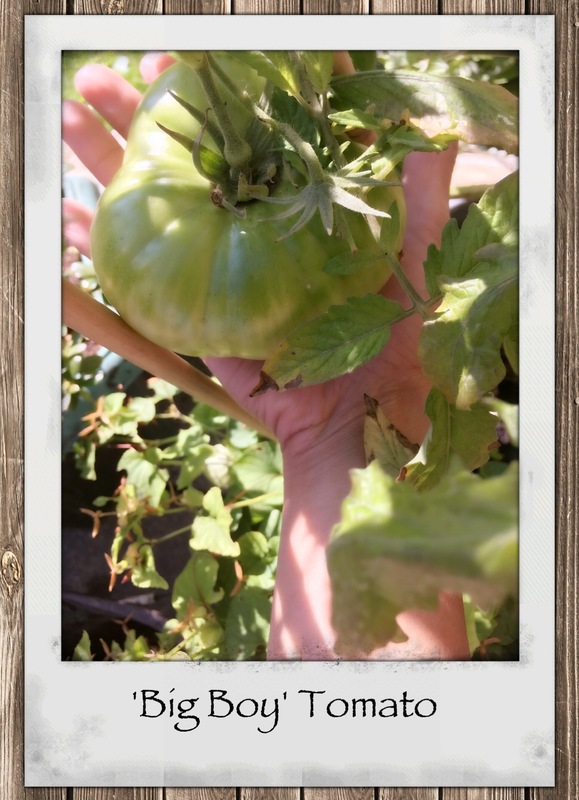 The ‘Big Boy’ tomatos are incredible- bigger than the palm of my hand! 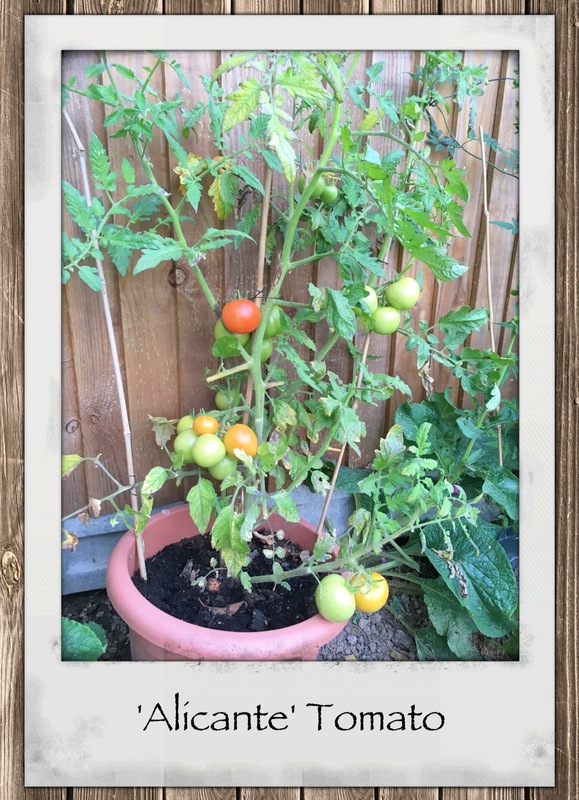 Using a basic liquid tomato feed weekly seems to be helping, its a great thing that can be used on other edible plants too. There was a point in which there was so much foliage, so when it would rain, the leaves were preventing the water from getting into the soil (a problem with the plants being in containers). My Mum helped out by pruning and thinning out the leaves. Now the rain can reach the soil and the plants’ energy is more focused on the fruits rather than wasted on excess leaves. 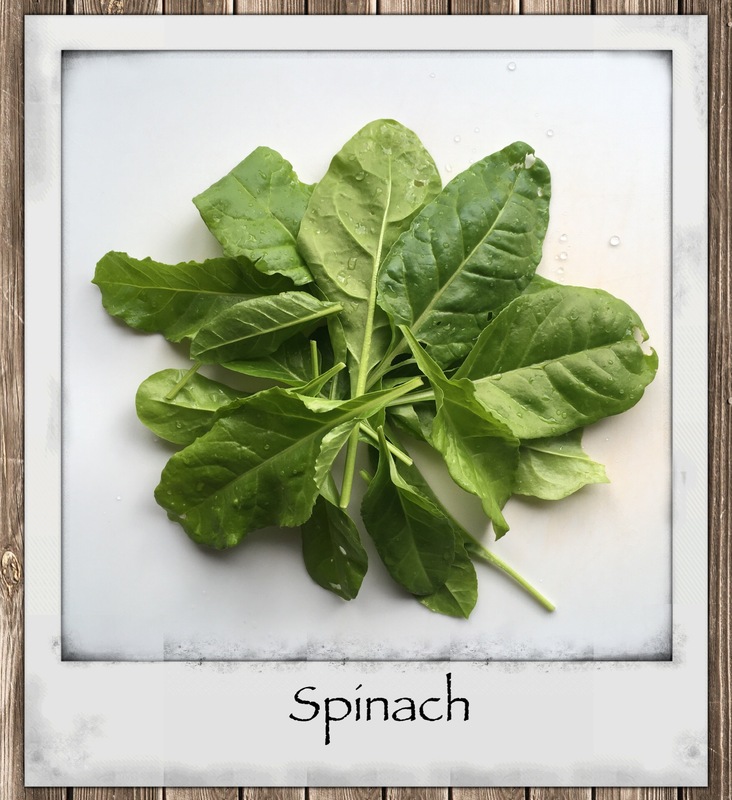 My hubby asked for spinach to be grown. To be honest, I am nervous about growing any edible leaf plant because of slugs and other bugs. However, I was pleasantly surprised by how well it has done! I scattered the seeds in various containers around the garden and the most successful was the one that let in the most sunshine. As they are a ‘cut and come again’ plant, it hopefully will last me until the proper cold sets in. 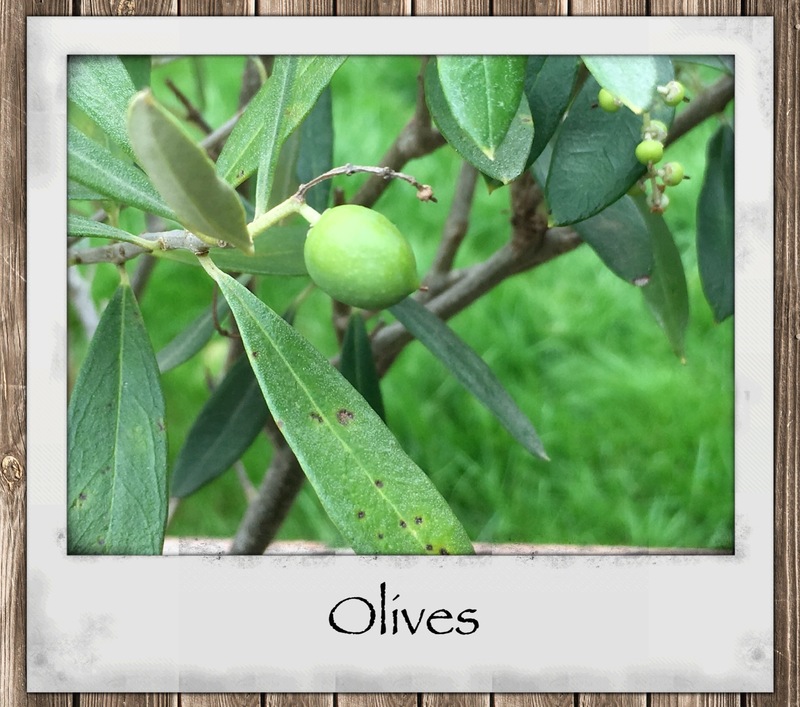 Several years ago I purchased this olive plant from a local high street market. This plant is a great example of how positioning is so important. At my previous home, I never got these large fruits forming. In its’ new spot in full sunshine, this olive plant is already demonstrating better potential. The highlight of my summers’ growing attempts is my watermelon plant. 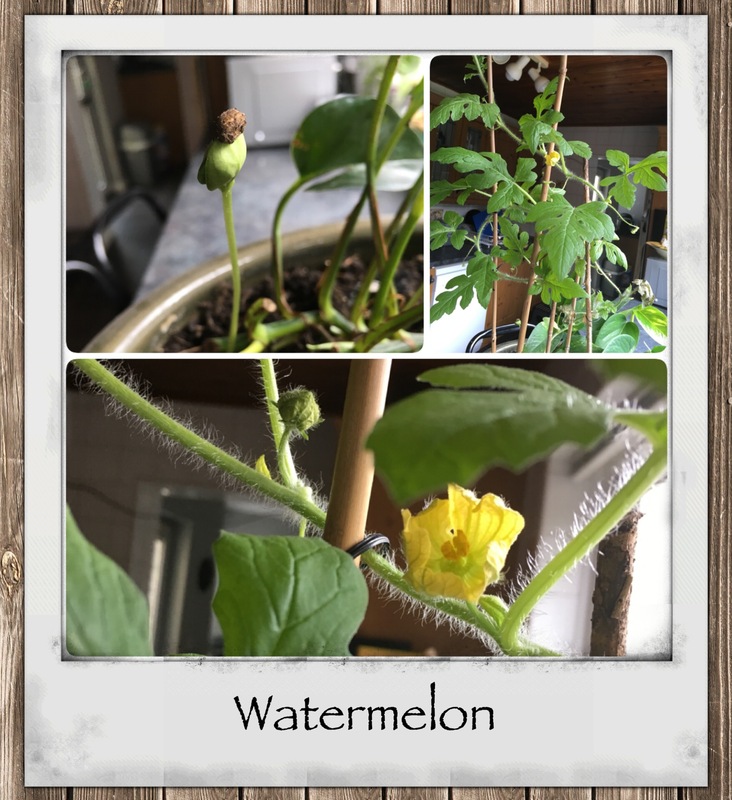 Back in May I literally just threw some watermelon seeds into a pot plant not really expecting anything to come if it. Amazingly they actually sprouted, and one in particular has formed several flower heads. I made the mistake of potting out several seedlings prematurely- they died within a day. This one plant which has been left to grow indoors in its original pot is doing well. 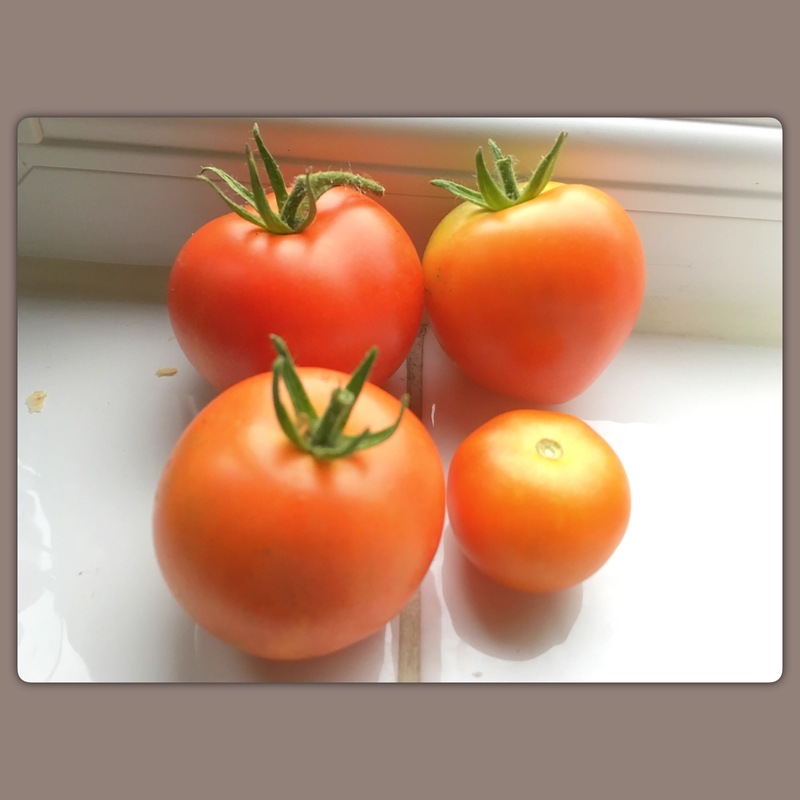 Even if no fruit develops, I am so pleased with the progress made this year. I think it’s important to focus on what has gone ‘right’ as a novice and build up on that. Identifying mistakes is important too, but move on from it and don’t let them hold you back from trying again!